The finding aid for the Andrea White Papers is now available online. This collection includes speeches, written works, and other materials that document White’s civic and professional live. Perhaps best known in Houston as the wife of former mayor and Texas gubernatorial candidate Bill White, Andrea White is also the author of eight young adult books. Her works have been featured on the Texas Bluebonnet List, and she was awarded the 2006 Golden Spur Award by the Texas State Reading Association. The collection contains drafts and translations of some of these works, along with research notes and correspondence. Also found in the collection are drafts of speeches given by White, including while campaigning for her husband, and works documenting the 1993 World Trade Center bombing. 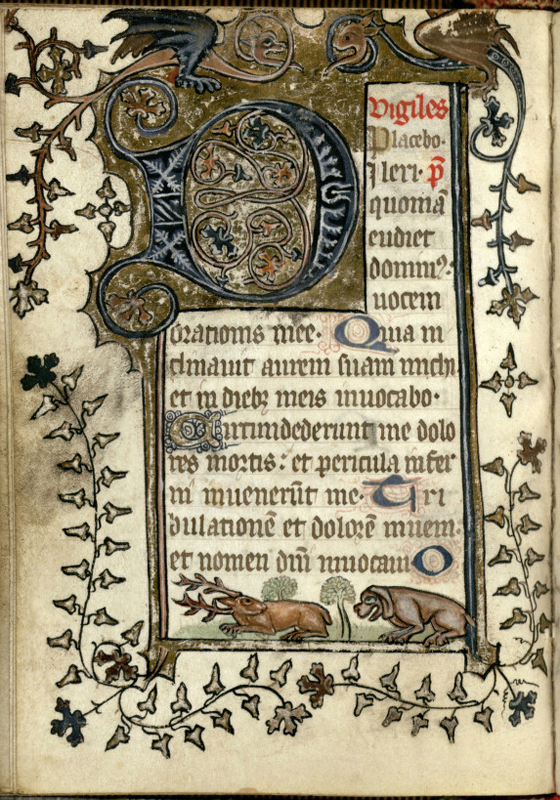 Medieval Manuscripts Exhibit Now Open! The exhibit Sacra et Profana: Music in Medieval Manuscripts is now open to the public on the first floor of the MD Anderson Library at the University of Houston. This exhibit encompasses the sacred and secular music of Christian, Jewish, and Islamic peoples as well as the while considering manuscripts’ physical nature, their production by hand and development to print. In addition to materials from UH Special Collections, the exhibit includes items from other major Houston collections, including the Woodson Research Center at Rice University and the Houston Metropolitan Research Center. For more information about the exhibit, visit the exhibit web page, which also includes audio and video related to the exhibit. The short slideshow below offers a sneak peek at the exhibit, including a copy of a book of hours which can also be viewed in the UH Digital Library. The exhibit is open to the public through Feb. 1 and can be visited during the library’s regular hours. An exciting new Special Collections digital collection is now available in the UH Digital Library. This collection features a fifteenth century manuscript, the Book of Hours, Use of Reims. Created in Northern France, this book of hours contains beautifully illustrated and handwritten pages. The text, written on parchment, is in both Latin and Old French, and the scribe is identifed as Paulinus de Sorcy. While many medieval manuscripts feature images that are closely related to their text, this one is primarily illustrated with marginalia. These whimsical images enliven the borders of various pages and contain both humans and animals. In one illustration, a man plays a harp. In another, a monkey or ape inspects a vial of urine in a satire of medieval medicine. The digital collection is organized into three objects — one contains the complete manuscript of almost 200 leaves, one highlights the illuminated pages, and the third shows the binding and edges. This beautiful manuscript is an exciting addition to our digital collections, so be sure to check it out soon!